First Day of my 2nd Act! Posted byMaking Time For Me June 18, 2018 June 18, 2018 Posted in#alltheyeses, #Blog, 2018 Blog Posts, MakingTimeForMeTags: #alltheyeses, #findingjoy, #igotthis, #MakingTimeForMe, #mychildren, #myfamily, #secondact1 Comment on First Day of my 2nd Act! Ten Minutes: I finally did it!! 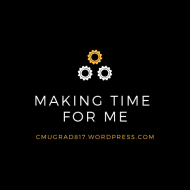 Posted byMaking Time For Me May 21, 2018 December 27, 2018 Posted in#Blog, 2018 Blog Posts, MakingTimeForMe, Marriage, Our Blended Family, Ten MinutesTags: #alltheyeses, #changes, #MakingTimeForMe, #momtrepreneur, #mychildren, #myfamily, #mytenminutes, #tenminutes, momblogger2 Comments on Ten Minutes: I finally did it! !